The Mako Kona Kill Dive Knife is a professional grade kill knife for the serious spearfishermen. Don’t let the low price of this dive knife fool you. These are the exact same high quality knives that are offered by MAKO Spearguns as well as a few other well respected spearfishing companies. These dive knives are made by the same factory in Italy, using the exact same materials and workmanship. The only difference is the name on the knife and the price. 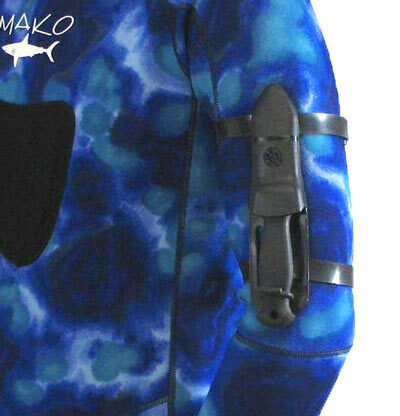 For more information on “MAKO DIRECT” pricing, click here. Made in Italy by the finest knife makers in the world, the impressive quality of the Kona Kill Knife starts with its’ superior grade of heat treated 420 stainless steel material with Teflon coating and superior geometric design. 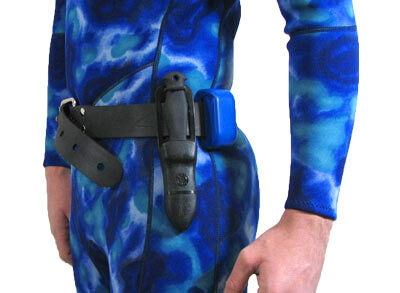 Includes two of the MAKO Spearguns Marseilles style knife straps measuring 17" and 21" long and are easily adjustable for using on arms and legs or it can be worn on your weight belt. NOTE: This is a high end kill knife made of superior stainless steel material. As with all high end dive knives, rinsing with fresh water and applying a silicone spray is recommended.